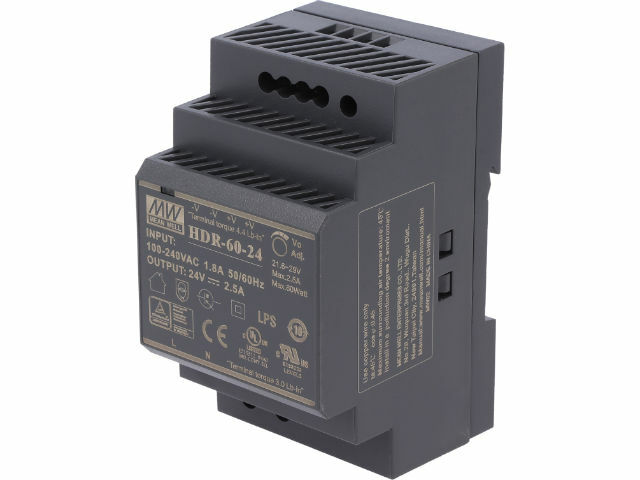 TME’s offer includes the HDR series industrial power supply units for DIN rail. New power supply units from MEAN WELL are a continuation of the well-known DR series, which responded to market expectations with significantly smaller dimensions. A particular emphasis was put on limiting the width of PSUs - now they require a lot less space in distribution cabinets. increased efficiency up to 91%. The new HDR series is a perfect choice for powering smart building systems as well as in low power industrial automation. Check the current offer of HDR series PSUs from MEAN WELL available at TME.